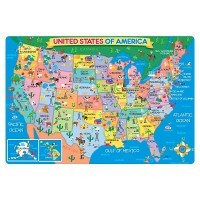 This large US map wooden puzzle by Melissa & Doug is full of facts, information and fun elements. Want to make learning US Geography fun? 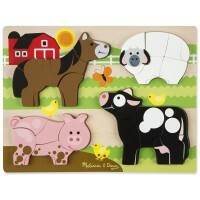 Buy Melissa and Doug's USA Map Large Wooden Puzzle for your children! 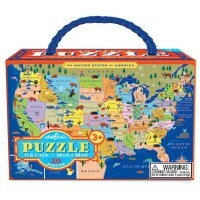 This United States map puzzle is full of facts, information and fun elements. 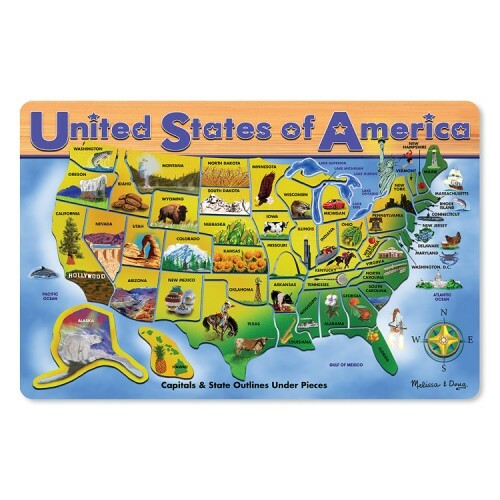 While your child puts together this USA quality wooden jigsaw puzzle he/she learns state names and capitals, interesting facts about each American state. Puzzle board contains the information with the each state's abbreviation, capital, population, size, bird, flower, and motto. 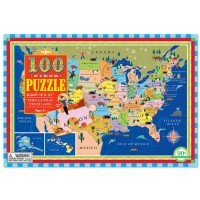 This US map puzzle comes with 45 pieces because Vermont and New Hampshire are on one piece; Massachusetts, Rhode Island, and Connecticut are on one piece; New Jersey, Delaware, Maryland and Washington, D.C. are on one piece. 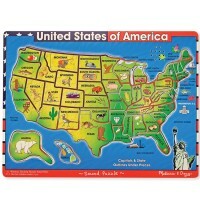 USA Map Large Wooden Puzzle from Educational Toys Planet is colorfully designed and has beautiful realistic illustrations of notable landmarks, animals, special features of each state. 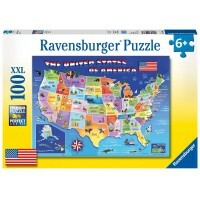 Dimensions of package 11.75" x 0.35" x 15.5"
Write your own review of USA Map Large Wooden Puzzle. 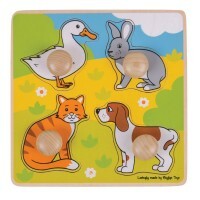 Rating: 5 High Quality by Jessica G This puzzle is high quality and brightly colored. 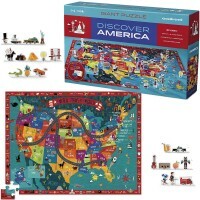 It is great for elementary aged kids learning their US geography and the landmarks and other important features of each state are clearly marked and displayed. This is a fun way to practice their states or to just play with a puzzle. 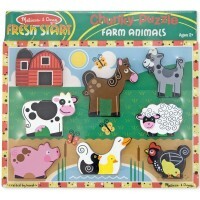 These types of puzzles promote spatial reasoning and logic as well as help with social studies skills. It is double the learning!! Rating: 5 by Nona, NC Perfect map puzzle for 5 y.o. All landmarks are clearly marked. Good quality. Rating: 5 by Victor Kepler, WY I like this US map puzzle very much. My daughter enthusiastically learns US geography with it. She already knows all the states, birds and flowers. Hopefully, she'll memorize the capitals as well. Excellent learning tool for children.